Their 7th single and 1st single from album "Bite". 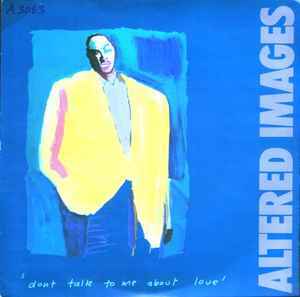 Don't Talk To Me About Love (Extended Version) (UK12") runs for 8min 30 sec Although not listed on the paper label, it's noted on the 12" single sleeve. I have recently bought a Numark PT-01 UBS Turntable and had transferred the vinyl to Apple Lossless and it amazing to finally hear the full version of the 12", as oppose to the "edited" version of the 12" single on most CD transfers.